Our HDPE & PP Woven Fabric (With & Without coating) provide strong, dependable and economical packaging option for diverse industries across the globe. These fabrics are light in weight and ideally suited for packaging corrugated or wooden boxes, cloth bales, machinery and many other finished goods for complete protection. With a firm commitment to quality, our organization is involved in offering a wide ambit of HDPE Woven Fabric Roll. 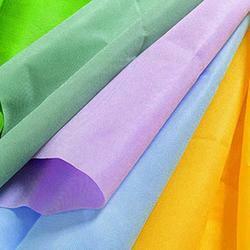 We manufacture Polypropylene Woven Fabrics as per our clients requirement. - We provide ventilated fabrics with the latest technology which gives real ventilation to the in filled product. - Special kinds of looms are used to make these fabrics. - Very much care is taken on the ventilation window to maintain the space of the same. - Also available in circular roll forms as well as open flat forms. Specifications: •Use: To cover the objects from dust, sunlight, wind, rain, etc. We are manufacturers of HDPE Monofilament Woven Fabrics which can be used in plastic tea strainer, garlic bags, onion bags. Further, we also deal in supplies of Body Scrubbers for shower or Loofah. We are offering our clients, a wide range of HDPE / PP Woven Bags / Sacks that is used for packing several Products. Our products are designed at par international quality standards. We also provide customization as per the specifications detailed by our clients to fulfill the needs and requirements. 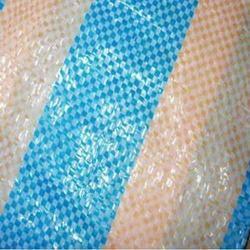 Keeping in mind the diverse requirements of the clients, we offer an extensive array of Impregnated HDPE Woven Fabric. Our entire product range ensures excellent ventilation and is easy to maintain. Impregnated HDPE Woven Fabric requires minimum maintenance and is offered with customized solutions. We need query in bulk.